Podgorica, (MINA) – Opposition MPs and politicians have found themselves in the most difficult situation since the introduction of the multi-party system, leaders of the Democrats and the Civic Movement URA, Aleksa Becic and Dritan Abazovic, have stated. On Tuesday, the two opposition MPs started their official visit to Brussels, which will include talks with European officials and members of the European Parliament. Becic and Abazovic met with Chair of the EU-Montenegro Stabilization and Association Parliamentary Committee David Martin, to whom they presented the current political situation in the country. 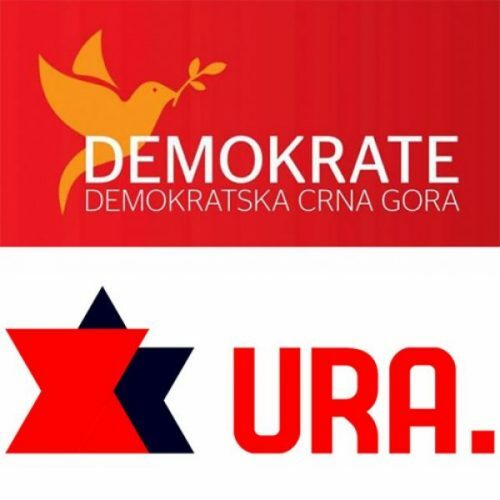 “We informed him in particular about the persecution of political opponents which has been taking place for many years, and which is especially evident these days, as integral part of the dictatorship that is in force in Montenegro,” the two parties said in a press statement. Becic and Abazovic argue that opposition MPs and politicians are in the most difficult situations in the history of Montenegro’s multi-party system. “The last dictatorship in Europe and in the only European country in which the government was never changed in elections has entered its final stage,” the two MPs claim. They underline the dialogue which was supposed to start through the interim parliamentary committee for, what they described as, cosmetic changes to the election legislation, has been a fiasco. “Before they even started, certain members of the Committee suspended their work and the Committee no longer has the required two-thirds majority,” the press statement said.